Disenchanted by the life in which she's found herself, Ingrid Coleman writes letters to her husband, Gil, about the truth of their passionate and troubled marriage. She hides them, unread, in the thousands of books Gil has collected over the years. Then she disappears from a Dorset beach, leaving behind her dilapidated house by the sea, her husband, and her two young daughters, Flora and Nan. Twelve years later, Gil thinks he sees Ingrid from a bookshop window, but he's getting older and his unlikely sighting is chalked up to senility. Flora, who has never believed Ingrid drowned, returns home to care for her father and investigate her mother's disappearance. But what Flora doesn't realize is that the answers to her questions are hidden in the books that surround her. 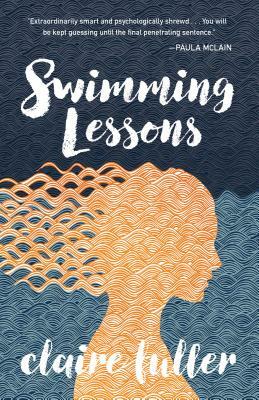 Scandalous and smart, Swimming Lessons holds the Coleman family up to the light, exposing the mysterious truths of a turbulent marriage and the dangerous fault lines that remain.